It’s a time for friends, family and feasting!! This year I’m hosting my first thanksgiving!! I’m bringing out BLUE everything; china, cook ware, decor and more for this special day. The only thing that won’t be blue is the mood! Let’s start preparing! First things first! Check out my mood board below and Pinterest for more ideas! Next step is to create a custom menu for our guests! I decided to create a natural wood slice chalk board for our menu. Slice of wood from your local craft store or brave the cold and cut one yourself! Brush on your paint leaving an inch of wood showing around the edge. Write the menu in pencil before you use a chalk pen to finalize. Come back for seconds! 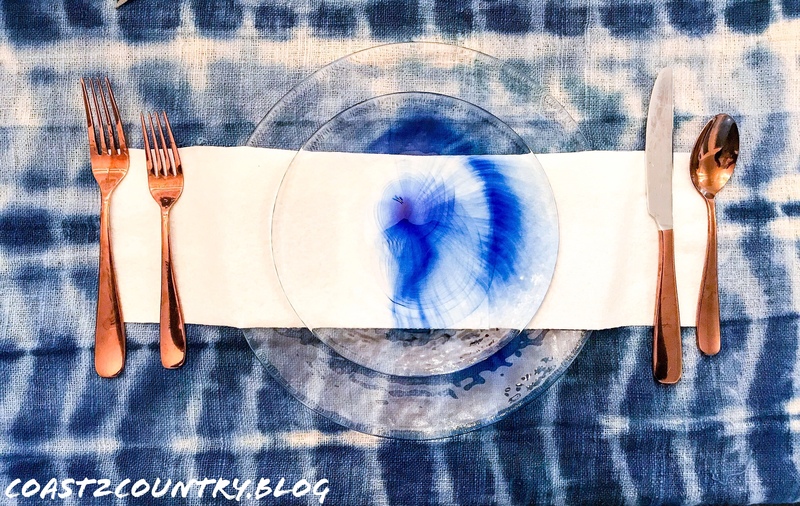 I’m cooking up more yummy decor for blue thanksgiving! !